Family Promise of Washington County is a community response to the issue of homeless in Washington County. Specifically we are concerned with families with children. Through an Interfaith Hospitality Network, IHN. a network of area congregations, we provide overnight lodging, meals, and hospitality to homeless families with children. Assisting Washington County residents 60 and older with transportation to health care or grocery store/food pantry, as well as minor home repair, housekeeping, visits and minor yard maintenance. The Volunteer Center of Washington County is a non-profit dedicated to connecting volunteers to service opportunities, promoting the importance of volunteerism, and supporting our local nonprofit community. Senior Citizens Activities is where adults over 55 years meet for fun, friendship and education. 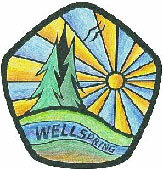 Wellspring is a certified Organic Farm and CSA as well as a not-for-profit Education and Retreat Center whose mission is to inspire and teach people to grow, prepare and eat healthy food. 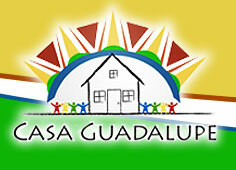 Our mission is to be the bridge of integration to Hispanics and to the communities in which they live through education. We are dedicated to helping individuals and families maintain and achieve financial stability and improve their quality of life by providing education, counseling, advocacy, and financial management programs.